You must be ready for abundance in your life or you would not be reading this.Everything you are, everything you want to be, and everything you will be has to do with the amount of confidence you have.If you think about it, there isn’t anything you have or are that wasn’t made possible through first believing in yourself that you could get it, be it, have it, or do it.So, when we work on our confidence we work on that part of ourselves which is creating our lives.Once you change your inner world through hypnosis you automatically, without even trying, change your outer world. Hypnosis creates a state of relaxation and serenity. Once this clean slate is created by removing the stressors and other thoughts that can interfere with achieving goals, the hypnotic process begins to suggest ways to the subconscious on how you can accomplish anything. This creation of abundance may include being involved in a satisfying relationship, achieving a certain level of wealth, or even improving your physical health. Whatever is important to you and will bring abundance to your life can be accomplished through hypnosis. Abundance is something you create for yourself, using the Law of Attraction to get what you want. It may take greater motivation at work, a stronger commitment to family, or the willpower to give up that which gets in the way of an abundant life. Whatever the obstacle, hypnosis can remove the barriers. The method takes only a few weeks before the mind is trained to constantly think abundantly. 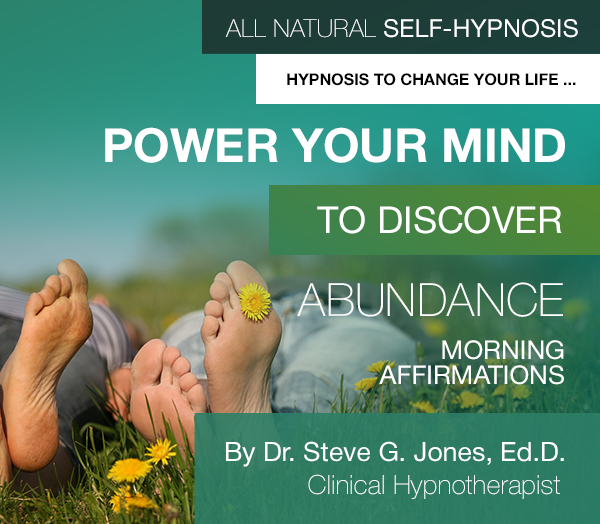 The complete process is found is Abundance, led by Clinical Hypnotherapist, Steve G. Jones. You can create abundance though hypnosis and the Law of Attraction and start realizing your goals.Abundance is within you. It is simply a matter of first realizing this truth and second making it a reality in your own life. 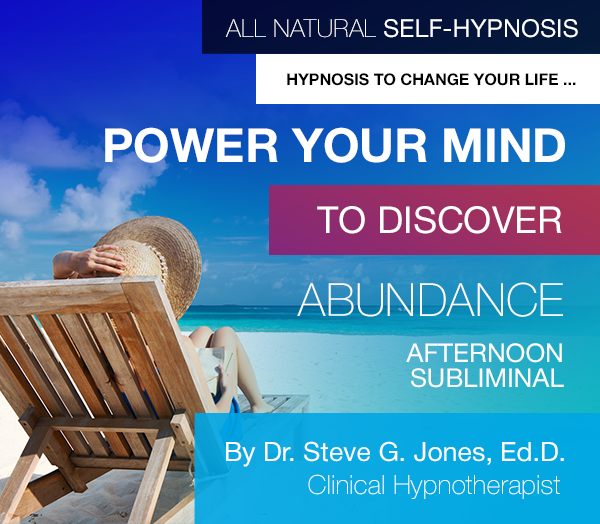 Hypnosis and using the Law of Attraction to get what you want is the key to accomplishing the goal of creating more abundance by drawing from your own resources and then adding upon that foundation. All the time people are asking me how they can attract abundance in their life. Abundance is all about the law of attraction. Whatever you are focusing your attention and energy on is what you will attract. In other words, take a look at what you are putting out there in the world and you will also see what you are getting back. People seek abundance in various forms. Some people may feel as though they are abundant in some areas in their lives, but not in others. You can achieve abundance through wealth, self-confidence, relationships, faith, and work. There are so many different ways in which people seek abundance, because we are all motivated by different things. I like to encourage people to seek abundance by keeping an open mind. Truly open yourself to the world around you. It’s important to have a positive attitude and to truly appreciate life’s abundance. 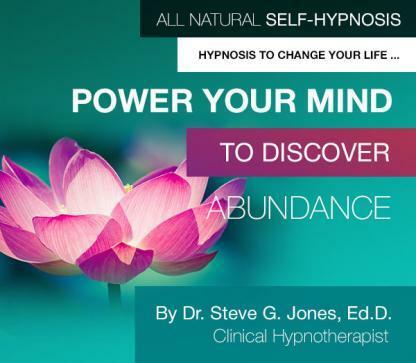 Steve G. Jones, Ed.D., Clinical Hypnotherapist, charges $1,500 for a custom recording and $25,000 for a two-hour private hypnotherapy session at his office. but you can get all the benefits for this low price. Simply listen to the mp3 every night as you go to bed for three weeks and feel the changes happening in your life. You will feel more empowered, more in touch with your true self, and you will truly know that your goals are within your reach. 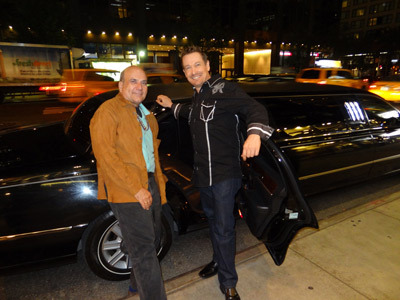 Steve G. Jones achieves AMAZING and LASTING results!!! Hypnosis is the easiest way to affect change in your life because the positive messages go straight to your subconscious mind effortlessly so you can accomplish your goals and reach for the stars!! All you have to do is listen to the mp3 at night as you go to sleep!!! When you purchase Program Yourself for Abundance, you will have a full 60 days to experience the program and ensure your satisfaction. But you are fully covered by my iron clad, no quibbles satisfaction guaranteed policy, which means if you are not totally delighted with Program Yourself for Abundance, you will get a prompt and courteous refund.